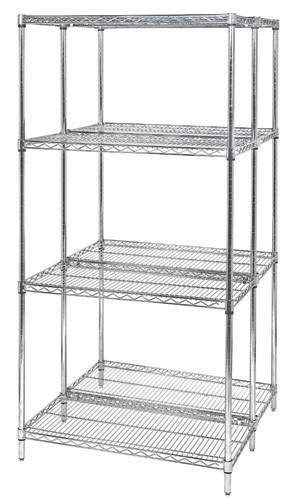 30" x 48" x 54" Conductive ESD Wire Shelves Heavy-duty Chrome Shelving unit allows up to 800 lb. 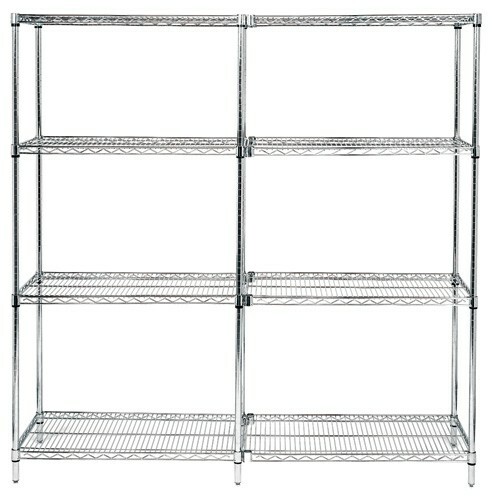 shelf capacity. 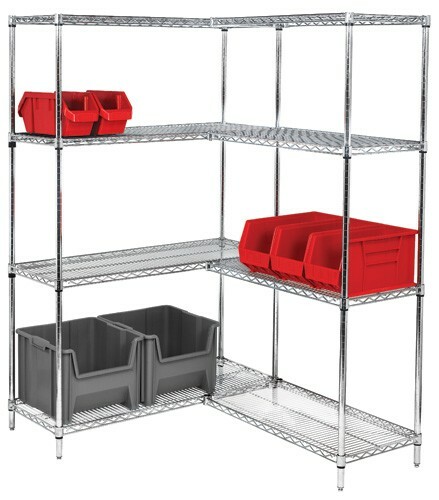 Additional wire shelves and conductive plastic split sleeves may be purchased separately. 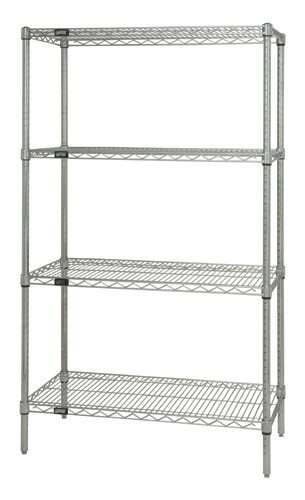 Mobilize starter shelving unit using optional mobile kit WR-00 or conductive mobile kit, WR-00CO. 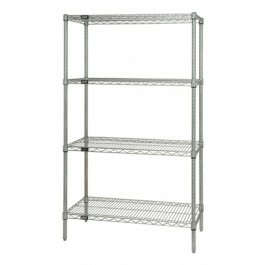 Includes 4- 54" Posts and 4- 30" x 48" Chrome Wire Shelves and plastic conductive split sleeves. 30" x 48" x 54"